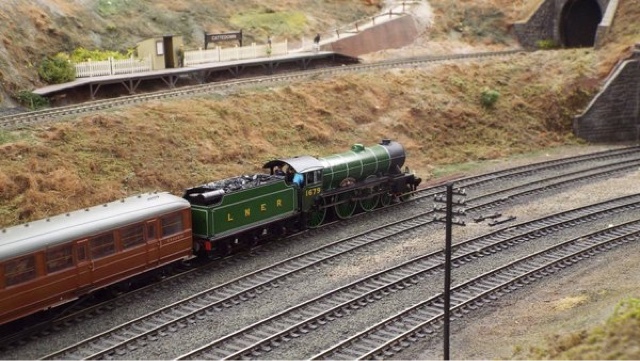 I'm very lucky these days in that I have an excellent model railway club nearby (Erith MRC) with which to run my rolling stock. 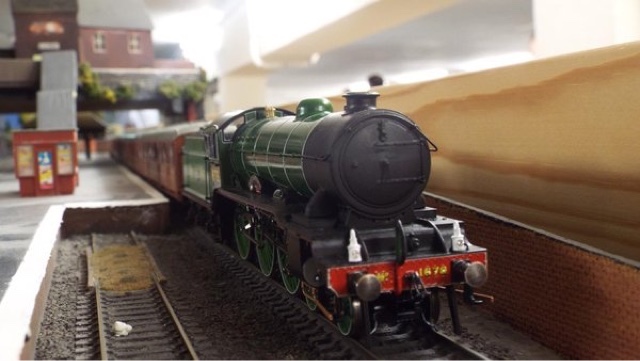 One such engine to run in was this, my model of fictional Gresley B17 "Charlton Athletic". She ran beautifully a week ago. 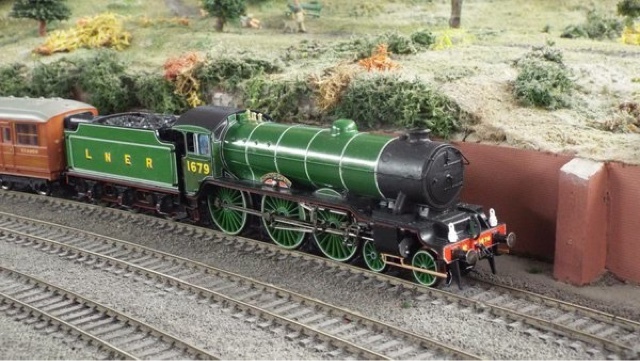 Made from Hornby's model of "Sandringham", a Bachmann tender replaced the GER type tender, the Westinghouse pump and associated grubbing were carefully removed, and the smoke box was given plastic Humbrol filler and sanding down plus paint to finish. My usual Johnsons Klear/Pledge floor varnish finished the boiler, cab and tender. Yet my railway modelling goes from strength to strength. I'm really enjoying building my fleet and my model railway. It's been such a comfort when I'm feeling down. This year I saw someone I thought I'd never see again. Meeting her reminded me I still have the potential to feel and be a normal, working human being. This in itself is a beautiful thing, as I have for some time - maybe for years - wondered if I'd have feelings the like again. All I can say is that love is the best thing we do. Even when it's not reciprocated, though it can be hard to take, remembering why someone makes you feel the way you do is never a bad thing. If love was easy, straightforward and tangible, it'd be just another commercialised and organised aspect of our lives, and it wouldn't be love. If you're wondering why the sudden about turn in blog content today, let's just say I am doing my best to move on from feelings that I realised this year have been lying dormant since a cold New Year's Eve in 2005. I meant it then and I mean it now. The clock never stops ticking. Or should that be beating. I'll leave you with one last shot of 1679 - a more normal, regular service is coming to the blog. Hang in there everyone: we all get there in the end.